1. On behalf of all Tamil victims of atrocities, we will exercise our Right to the Truth and our Right to Know under international law to obtain access to information gathered by the UN Secretary-General and High Commissioner of Human Rights in three independent investigations into international crimes committed in Sri Lanka. We will analyze and translate this information for the victims and their families so that they may finally know the fate of their loved-ones. We have engaged international lawyers with expertise in the Right to Know and the Right to Truth to assist us in obtaining this information. Today, we have sent a letter to H.E. Ms. Michelle Bachelet Jeria, High Commissioner of Human Rights informing her of our VDIJ and our legal representatives have formally requested access to the information she has in her possession. 2. We have engaged the services of a respected international lawyer who has led the investigation and prosecution of several international criminal cases. He and his team, with the assistance of Tamil lawyers, will review this information and assemble dossiers of evidence. 3. Over 90 UN member states have provisions in their laws for private prosecutions by victims. We will work with and support Tamil victims living in those countries and human rights organizations working on their behalf to commence domestic prosecutions for international crimes with universal jurisdiction. Despite the involvement of the international community from the very first day the armed conflict ended, ten years have passed and still, no step has been taken to investigate or prosecute those responsible for some of the worst crimes committed this century. On 22 March 2019, the Human Rights Council passed its latest resolution on Sri Lanka (A/HRC/40/L.1). The resolution makes no mention of Sri Lanka’s complete failure to investigate the atrocity crimes committed against Tamil victims and UN employees. It avoids the conclusion of every report by the High Commissioner since the adoption of Resolution A/HRC/30/1, that Sri Lanka has failed in its core obligation to investigate crimes. 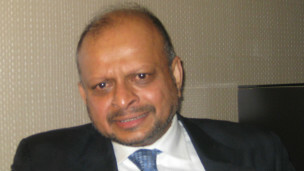 The Council, in resolution 40/L.1 continues to ignore the recommendation that the crimes committed in Sri Lanka require an internationalized tribunal; sets no time-line for Sri Lanka to ensure accountability; and adjourned any further discussion of Sri Lanka’s failure to fulfill its obligations under A/HRC/30/1 until 2021. Sadly, the Council’s apathy to the continued suffering of victims and their families is not unique to Sri Lanka. We have entered a new era of international relations where atrocities in Sri Lanka, Syria and Myanmar are not met with the firm resolve demonstrated in Nuremberg, Yugoslavia, Rwanda and Sierra Leone. Instead, the international community has become complacent – it has forgotten its collective promise that a genocide would not happen again. Its feigned outrage at atrocity crimes now dissipates quickly and without embarrassment. International investigations and prosecutions of the killing of over 7,000 men and boys in Srebrenica in July 1995 began immediately. The first step towards accountability has yet to be taken with respect to the 40,000 to 70,000 civilians killed in Sri Lanka a decade later. While it remains incumbent on the international community to do its duty, today, for the sake of Tamil victims around the world and for the sake of all victims who are denied justice, we will pursue every possible avenue under international law to obtain justice ourselves with this Victim Driven International Justice initiative. The TGTE invites all Tamil Organizations and indeed all defenders of Justice to join us in this important initiative.